What do you look for in a friend? Humor? Compassion? Trust? 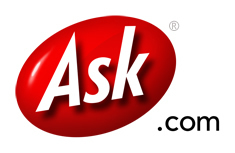 In some ways Ask.com resembles an old friend. There was good ol’ Jeeves, that funny and warm mascot. Ask’s commitment to providing the best answer the first time embodies the engine’s compassion for users. And Ask’s long tradition of innovative search technology speaks to the engine’s commitment to trust. Of course, a lot of these qualities can be seen in other search engines as well. But one place where Ask sets itself apart today is in its depth. While good friends are there for a carefree jaunt, great friends are the ones that get deep with you. Today on SEM Synergy, Tomasz Imielinski, Ask’s executive vice president of Global Search and Answers, talked to me about what the engine’s been doing with semantic search technology. I think many people in the SEO industry know that search is still evolving, still improving, but where it’s going and to what benefit is less well known. That’s why it was awesome to have Tomasz on the show to tell us about Ask’s progress in crawling the deep Web — that vast pool of once invisible content that’s barely touched by any of the big three engines. Not all the Web’s made of HTML, and Ask’s ability to extract data from XML feeds and databases lets the engine get deep with searchers. If you’re interested in learning about Ask’s semantic search technology, I highly recommend a quick listen to our interview. I also spoke to Ask president Scott Garell this week about Ask’s next steps. In the process, I learned a thing or two. Like, did you know the Ask Network is the sixth largest online property according to recent data from comScore? Or that Ask’s search market share remains steady year over year, while Yahoo, Microsoft (pre-Bing) and AOL are feeling a bit of a pinch? The data above is from comScore reports. Click on the images to view the full reports. I asked Scott, if Ask is actually a big fish in the online pond, does he find it funny that the search community looks at Ask as an underdog? It’s this attitude that seems to be helping Ask make inroads with search market share, but a looming question remains. What about Ask’s relationship with SEOs? In the years since the search engine optimization community has been around, SEOs have offered ranking reports as a way to demonstrate, in part, the effect search engine optimization can have on an online business. But as Bruce pointed out during the opening segment of the show, Ask.com doesn’t provide a ranking API, leaving SEOs without an automated ranking monitor for keywords in Ask. If an SEO were to tell their client that Ask.com was a search engine to pay attention to, the client’s logical response would be, “So where do I rank in Ask?” Until there’s a simple, automated way to give that client an answer, it’s easier for the SEO not to mention Ask at all. There’s no doubt that Ask has all the qualities of a great search engine. Results are relevant and trustworthy and the technology is ahead of the curve. Ask’s passion for search is intoxicating, but will Ask bring some of that passion to the SEO community? My friends and I will wait and see. You might check out http://www.yebol.com. It’s in beta, but very powerful, as far as semantic search goes. Are you serious about the article above or joking? Ask is history for most users. The numbers above lie as they have acquired other properties that shows an inflated number. Yahoo has lost market share, but look at the base. It is 6x that of Ask. For me, there is no reason to use anything other than Google. Why would you use anything other than google? It’s a concept not many people have written about (if any). Hi Phill :) A semantic keyword strategy, eh? Now that’s an concept I haven’t read much about. I feel another post coming on! In March, Ask announced it was laying off around 8% of its employees and changing strategies, focusing on women above 30 and searchers looking for answers to questions about health and entertainment, who it said made up a disproportionately large part of its user base. To many search industry watchers, that sounded like an admission of defeat. Something I didn’t mention in the post is Ask’s strategy to develop audience-centric verticals, like what they’ve been doing for NASCAR. Ask is targeting categories filled with passionate community members and goldmines of structured data, making the best search experience out there for topics like sports and entertainment. For what they do, I don’t see anyone else that even comes close. What I find odd is that despite the improvements taking place with semantic search technology, the majority of SEOs still insist on using a keyword strategy that doesn’t take semantics into account. ASK is doing some great work and has been innovating steadily for some years now – but the recent slew of semantic improvements from Google are also being taken at face value and strategy isn’t changing. You only need to look at the recent PageRank sculpting fiasco with SEOmoz at its centre to see that SEOs are losing touch instead of keeping up. Ask’s commitment to providing the best answer the first time embodies the engine’s compassion for users. And Ask’s long tradition of innovative search technology speaks to the engine’s commitment to trust. Ask.com threw away its technology, it’s provocativeness and its trustworthiness when it spit in users’ faces and then lied to us about what was going on. They can pretend they’re still growing and evolving all they want. The simple fact is that they don’t exist anymore. Which is a shame, because they used to be great and the only “original” engine out there. I’m not sure which “qualities of a great search engine” Ask.com really has. Have you used Ask lately? I’m not even sure I’d call them a search engine anymore. They have, however, grown up into a mighty fine arbitrage site. Safka can be proud of the failure he created and then abandoned.